Pukka Three Licorice is a sweet song of nourishing organic licorice from Kazakhstan, Pakistan and Egypt. Sweet treasure awaits. 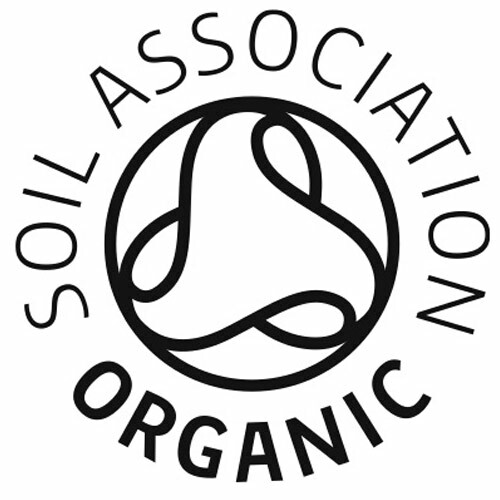 A tingling fusion of nature`s sweetest herbal treasure unearthed from organic soils, let their goodness infuse, then settle down as the sweet, nourishing riches weave wonder and warmth deep within your soul. Delicious. Your wealth is within. Kazakhstani Licorice Root (45%), Pakistani Licorice Root (45%), Egyptian Licorice Root (10%). 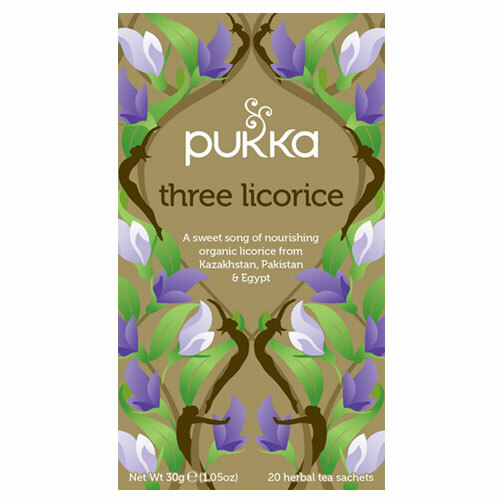 Below are reviews of Pukka Teas Organic Three Licorice - 20 Teabags x 4 Pack by bodykind customers. If you have tried this product we'd love to hear what you think so please leave a review. My favourite herbal tea. A sweet initial hit with a spicy after taste. Very nice. Strong too - you can get a good first mug and a refill from one bag.